The South Korean government is firmly committed to reducing the country's dependence on nuclear power and will expand the use of renewable power sources despite growing public support for time-tested atomic energy, observers in Seoul said Saturday. According to a poll conducted by the Korean Nuclear Society, 71.6 percent of respondents supported the use of nuclear power in the country, far more than the 26 percent that said the country will be fine without it. The survey was conducted on 1,000 respondents aged 19 and older on Aug. 6-7. During a meeting with ruling and opposition parties on Thursday, Moon was quoted by the Democratic Party as saying that the government is carrying out the phase-out drive "step by step," expressing confidence that the present energy policy will not weigh down the national economy. 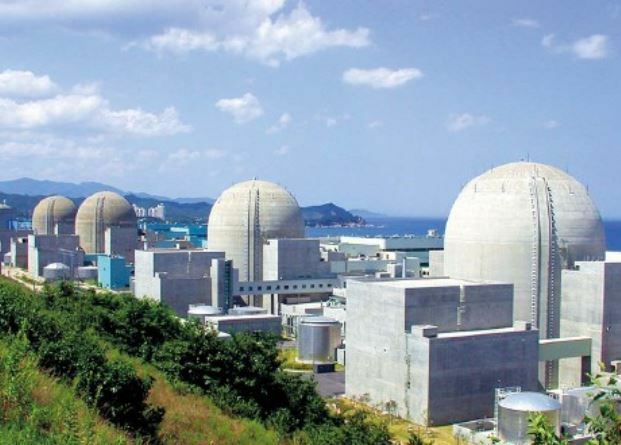 The Korean Nuclear Society, which has kept tabs on public opinion, also said 37.7 percent of the respondents called on the country to expand the number of reactors, while 28.9 percent said Seoul should take steps to reduce the number. Asia's fourth-largest economy currently has 24 nuclear power plants, which account for roughly one-third of power generation. Concerning the government's push to break away from nuclear power, 50.1 percent of respondents expressed discontent, more than the 45.5 percent that supported the policy move. Proponents of holding onto nuclear power argued that government was off in its assessment of maximum energy demand for this summer, which it said will reach 87.5 million kilowatt. Following the unusually high temperature, however, the demand reached a record-high of 90 million kilowatt on July 23, followed by 92.4 million kilowatt a day later. "The government admits it missed the forecast and though policymakers blame the unexpected heat, there is no denying that Seoul underestimated the outlook to justify its energy policy," a scholar at a local university said. He said if the government made a mistake this year, there is no guarantee that it correctly calculated the country's energy needs going forward. Another concern over the government's energy policy is that the switch could hinder the country's export of reactors to other countries. "It is not easy for a country to name our country as the partner for their own nuclear reactor projects, as the supply chain for related parts in South Korea may collapse," the nuclear society added. "The government must make plans to maintain the local nuclear power industry." Other supporters of nuclear power added that the phase-out plan will drag down the performance of Korea Electric Power Corp., which will eventually lead to more expensive energy bills for ordinary people. KEPCO, which posted an operating profit of 2.3 trillion won ($2 billion) in the first half of 2018, posted a loss of 814.7 billion in the January-June period of this year. On the other hand, the government, while recognizing minor missteps, steadfastly maintains that its drive to break away from nuclear plants is valid and will not be changed. "Even if the unusual weather continues, the demand for power will not increase sharply down the road," an official from the Ministry of Trade, Industry and Energy stressed.